Want it by Thursday 25th April? Order within 18 hours, 3 minutes and choose Next Day Signed For (Special Delivery) at checkout. 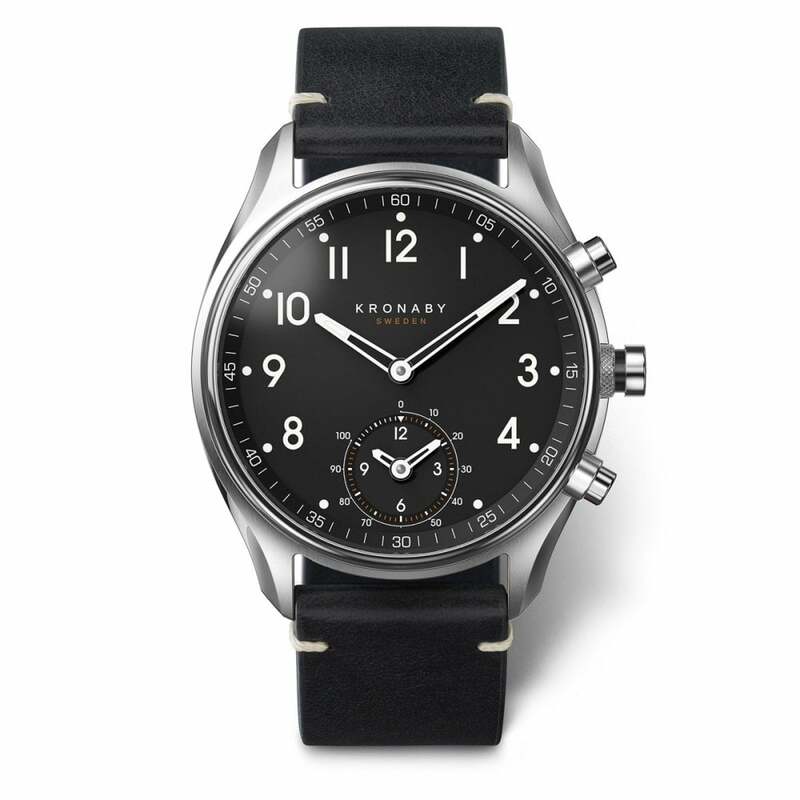 Gents Kronaby Apex Quartz Hybrid Smartwatch with a 43mm stainless steel case and black leather strap, a black arabic dial with subdial at 6 o'clock and comes in official Kronaby packaging with a 2 year guarantee.Created in Malmo, Sweden by two people who used to work for the phone giant Sony Ericsson, Kronaby present a full range of high end connected smartwatches which connect via Bluetooth to any Apple or Android smartphone which opens up the world to a range of different functions controlled via the Kornaby app. These functions can include: a Find your Phone function, Phone Camera Remote, Remember This Spot and so much more. Powered by a normal quartz batter, these watches do not required recharging every night and are made with high end materials such as sapphire crystal glass. All the perks of a smartwatch with none of the drawbacks!